We have the top three picks for this Saturday, and below there is a list of bars and lounges that are always a good option. Carioca Jazz Quartet @ Fábrica Bhering (Santo Cristo) – The Carioca Jazz Quartet invites everyone to a pleasant night of music and art at Fábrica Bhering. Every first Saturday of the month, the ‘Circuito Interno Bhering’ (Bhering Internal Circuit) takes place – an open invitation for the public to visit shops, galleries, and sample some gastronomic delights. 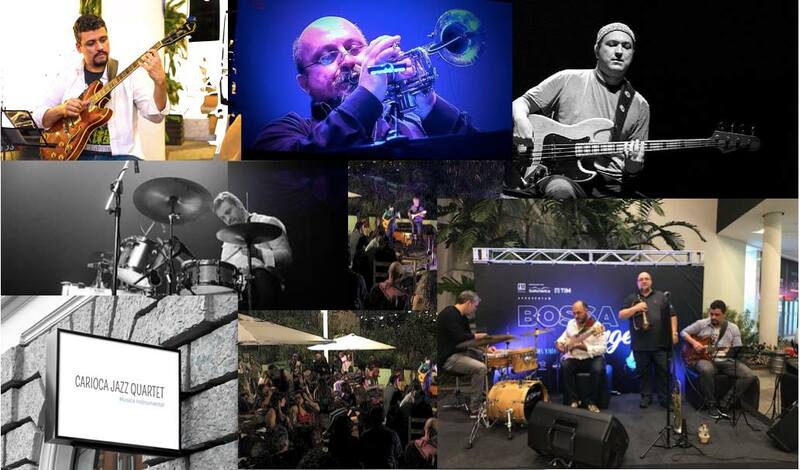 This Saturday, Carioca Jazz Quartet will charm the crowd with a mixture of bossa nova jazz, samba jazz, and more. They are: Walter D’Avila Neto on guitar, Altair Martins on trumpet, Ney Conceição on double bass, and Paulo Diniz on drums. This is a free event and it will begin at 6PM. Festa Adult Swim #2 @ Casa da Matriz (Botafogo) – A party in honor of the TV show Adult Swim, this evening will have plenty of attractions for fans and non-fans alike. There will be cartoons playing throughout Casa da Matriz, as well as slices of pizza and fries for everyone, open karaoke on the second floor, arcade games, ping pong and much more! Drinks offers include two-for-one on gin and tonics, and caipirinhas, until 2AM, as well as artisan chopp beer for R$6, plus plenty of free shots all night. For those extra brave among us, there will also be flash tattoos on offer. The DJs Buba and Ian Garcez will playing a party mix of pop, rock, hip-hop, and funk. 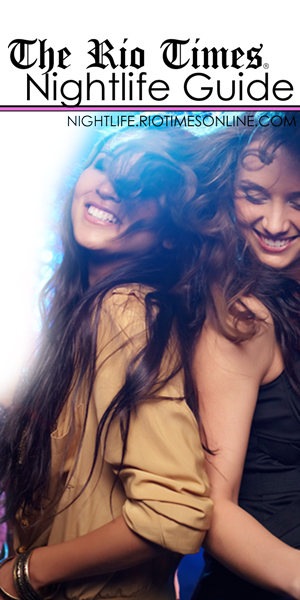 Tickets are between R$15 – R$60 and the night gets going at 11PM. 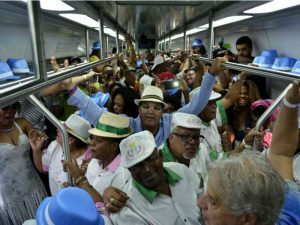 Trem do Samba @ Estação Central (Centro) – The ‘Trem do Samba’ (Samba Train) arrives for its 23rd edition celebrating samba and its history with live samba being played all the way from the ‘Estação Central’ to Oswaldo Cruz in 32 wagons. The activities, which celebrate National Samba Day, take place on Saturday and Sunday, December 1st and 2nd, and are free admission. 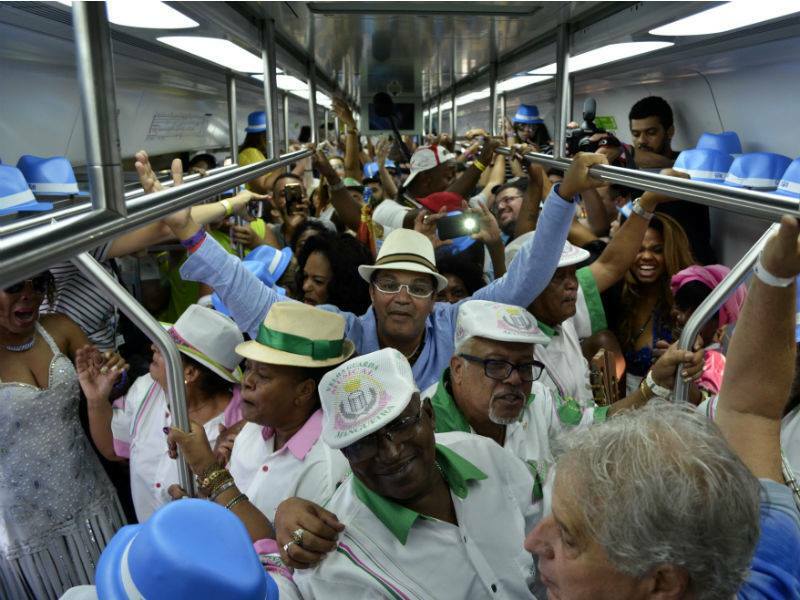 Besides the live music in the wagons, the program counts on live attractions throughout several points of Oswaldo Cruz. The Trem do Samba begins at 3pm. To enter the train, the public must exchange 1kg of non-perishable food for a ticket at the Central Station in Brazil, from midday on December 1st onward. For more information, consult the event page. Run by Delirium, prestigious Belgium label that has already been awarded as the best beer in the world, the bar offers twenty different beer taps. Entrance: See venue for details. For all things cachaça go here; it’s their specialty. They offer great caipifrutas and caipirinhas in a relaxed, trendy setting.